From Bandai, this stunning 1/10 scale Figuarts Zero statue of Sailor Moon stands approx. 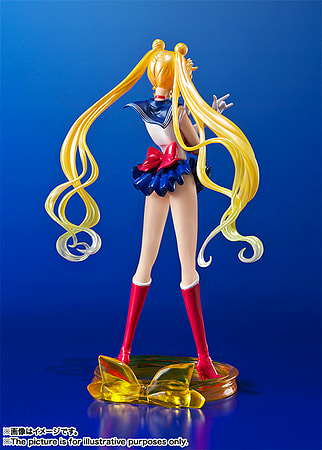 190 mm (7.5 inches) tall and shows Sailor Moon in a classic pose. From Bandai, this stunning 1/10 scale Figuarts Zero statue of Sailor Moon stands approx. 190 mm (7.5 inches) tall and shows Sailor Moon in a classic pose. 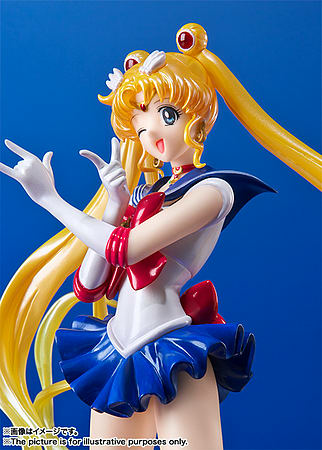 This statue is perfect for all Sailor Moon fans who want to show their heroine off in all her glory!